The festival of lights is upon us! Amidst all the dusting, polishing, painting, upholstering, don’t forget to pay special attention to the entrance of your home. Tradition has it that Goddess Lakshmi enters the homes of devotees whose entryways are brightly lit and inviting on Diwali. I’d say that’s enough incentive for an outdoor makeover! Set the festive mood and make the right first impression with these suggestions. Start with a proper on-all-fours cleaning to ensure all obstacles are cleared from the goddess’ pathway. These colorful thorans could make for a special welcome when displayed over your main doorway. Draped loosely over a countertop, they’ll brighten up any dull corners in your home. 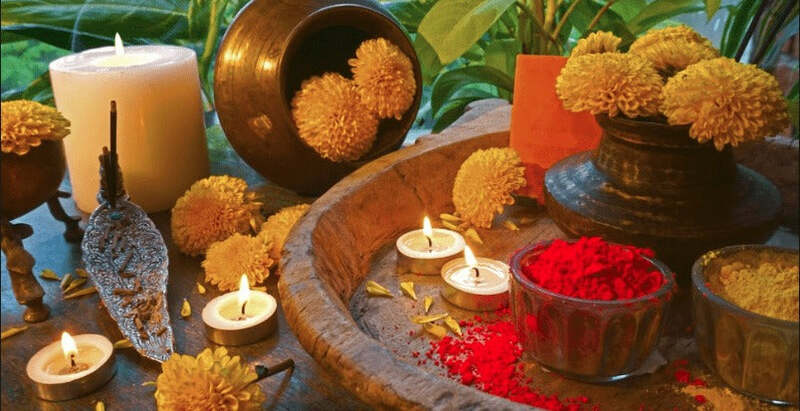 This year, save the ghee for your Diwali eats and make the switch from oil lamps to LED garlands, fairy light strings, and metallic/glass lanterns. If a lit flame is more your vibe, scented candles and T-lights are more convenient options to give Maa Lakshmi that 21st century welcome. Some colored powder and a few easy patterns ripped off the internet can give you rangoli designs worthy of any K-serial. 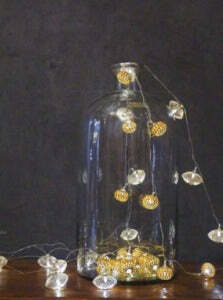 Add flower petals and T-lights to take to next level. A large brass Uruli filled with water, floating flowers and candles makes for an inviting entryway. You could go old school and string lights off your balcony/ through the trees in the garden, or give new life to everyday objects by framing family photos or even large mirrors with the string lights. 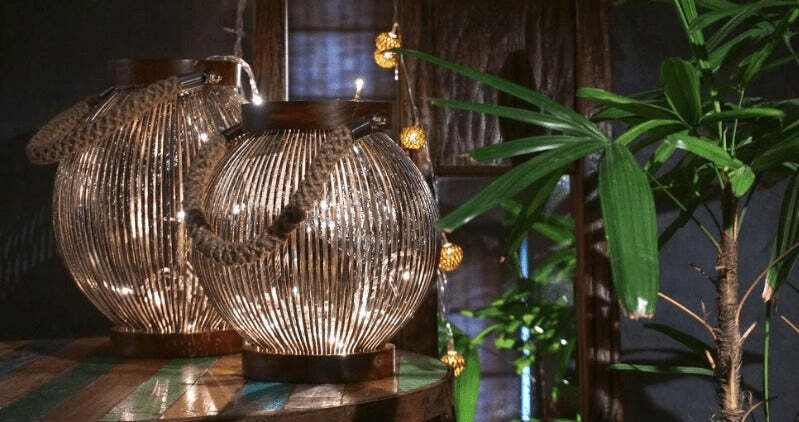 Coil them up in glass jars or hang them up in painted bird cages for an innovative touch. 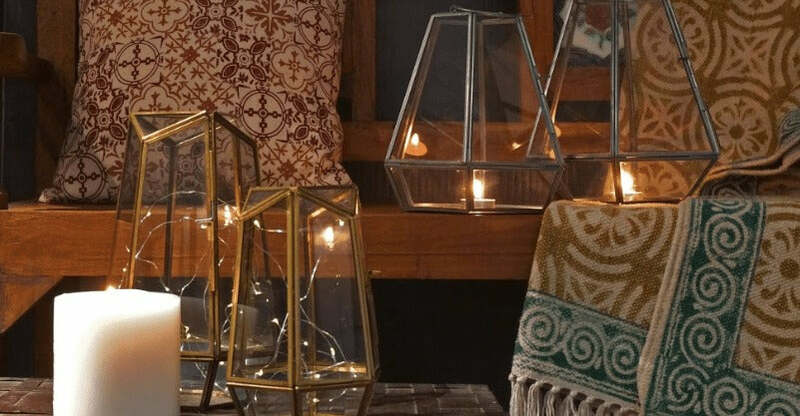 With light holders to please each décor palate, be it an ethnic antique style or modern geometric shapes that you desire, these designs could easily be made permanent fixtures in any home. They make for great holiday gifting, too! 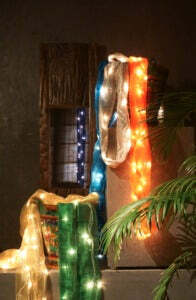 Diwali literally translates to ‘row of lights’ and therein lies a décor idea. 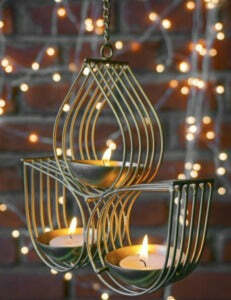 Candles of varying heights lined up, cast a warm flickering glow to brighten any space. 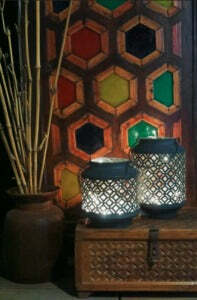 A couple of these Tamara T-light holders in the iconic lotus shape are sure to bring Goddess Saraswati a-knocking. Here’s wishing she brings us health, wealth and prosperity this Diwali.